The new owners of Channel 5 have stepped into the on-going debate over how much public service broadcasters should pay to be on Sky. ITV and Channel 4 have in recent weeks indicated that they want the current system, which sees them having to pay millions of pounds a year, scrapped. 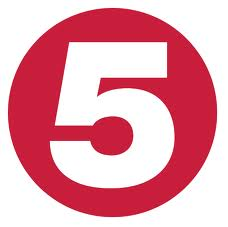 Now Viacom has joined those supportive of the move, following its purchase of Channel 5. The industry frequently calls these payments 'retransmission fees', although technically, Sky does not retransmit, but uses the same satellite signal that supplies Freesat homes with the main commercial channels. The fees that broadcasters have had to pay have been controversial, as they have been above and beyond standard fees for EPG listing and regionalisation. Earlier this year, the BBC and ITV reached separate agreements with Sky to reduce fees. The Government stepped in during 2013, when Digital Minister Ed Vaizey hinted that regulation would be introduced if a settlement to reduce fees could not be reached. At the 2013 Oxford Media Convention, he said "Retransmission fees have been raised as part of the Communications Review process. It has been argued that PSBs are at a disadvantage when negotiating fees, as they are obliged to try to ensure they are available on all major TV platforms, while satellite platforms have argued they are covering costs incurred carrying PSB channels." In the USA and some other countries, it is common for platform operators to pay broadcasters for their content, rather than the system used by Sky. If the BBC, ITV, Channel 4 and Channel 5 said they are going to withdraw their channels from Sky unless they get paid for their content, Sky would surely have to or risk loosing a very high percentage of their viewers. I imagine a vast majority of viewing is the "main" channels and their off-shoots. It must be much more beneficial to Sky to have these channels than it is to the broadcasters to be on Sky? ?